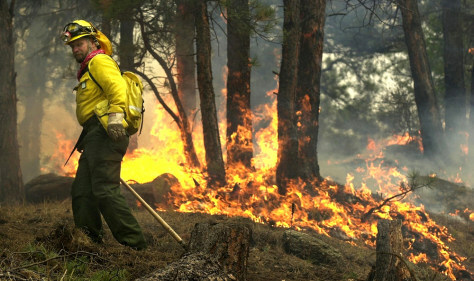 Blazes more frequent, more intense since 1987; more to come? Western wildfires in recent years includes this one outside Denver in June 2002. The fire forced more than 40,000 people to evacuate and burned nearly 100,000 acres in what became Colorado's largest blaze.